Hilton is continuing to expand in the French mid-market segment with two new properties – the Hilton Garden Inn Massy and Hampton by Hilton Toulouse Airport. 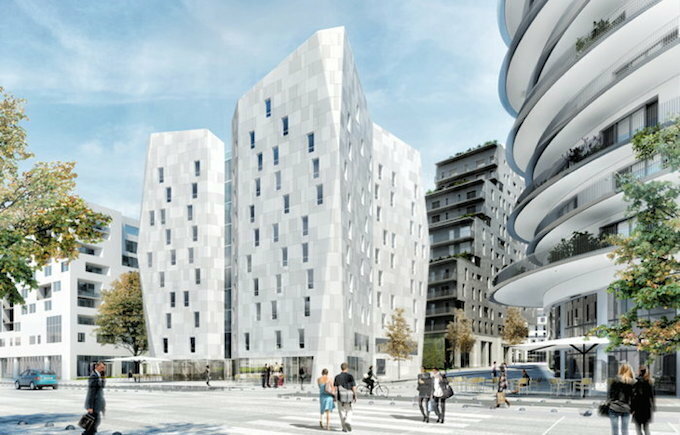 The new properties, which are located in the Parisian suburb of Massy and near Toulouse Airport, will operate under franchise agreements with Naos Hôtel Groupe and NT Hotel Gallery respectively. Both are due to open next year. Patrick Fitzgibbon, senior vice president, development, EMEA, Hilton, said: “Both of these new projects support our drive to grow our portfolio in France by introducing new brands at key transport hubs. The hotel will form part of a mixed-use development also comprising residential and retail space, along with a cinema and congress centre. The property is adjacent to the main train station, which welcomes France’s intercity high-speed rail (TGV) and has a direct metro line into central Paris, connecting the hotel to major French cities and Paris city centre. The 152-room property will be marked by a distinctive geometric tower designed by world-renowned architect Christian de Portzamparc. Pascal Lemarchand, CEO of Naos Hôtel Groupe, said: “Having partnered with Hilton with the announcement of three hotels last year, our intention was to develop this relationship and roll out additional properties under its brands. At just 600m from the airport terminal and 800m from Blagnac Shopping Centre, Hampton by Hilton Toulouse Airport will provide a convenient new option for passengers travelling through Toulouse. The hotel will have 126 guest-rooms, a fitness centre, work zone and a grab-and-go F&B offering. Nicolas Andrieu, NT Hotel Gallery, said: “We are pleased to be bringing a Hilton branded hotel to the city of Toulouse for the very first time. Hilton currently operates nine hotels in France under three brands. It is set to more than double its presence in the market with a pipeline of 14 properties, and this year is due to introduce two brands with the opening of Hilton Garden Inn Bordeaux Centre Gare and Hampton by Hilton Paris Clichy. Both hotels will be operated by Naos Hôtel Groupe.